The Workshop Power Awards is organized by Workshop Magazine. It is the only awards event of its kind to put the power firmly in the hands of its readers by surveying hundreds of them to find the best suppliers and partners to the automotive industry. As the winners are chosen by trade professionals, they reflect who the trade think are the best companies to work with. The Workshop Magazine team has no influence over the winners. 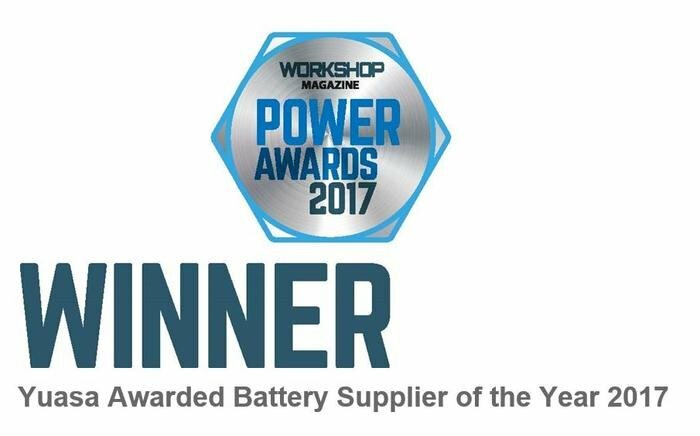 After hundreds of survey responses were counted, Yuasa saw off stiff competition from other major battery brands to be awarded Battery Supplier of the Year for the second year in a row.